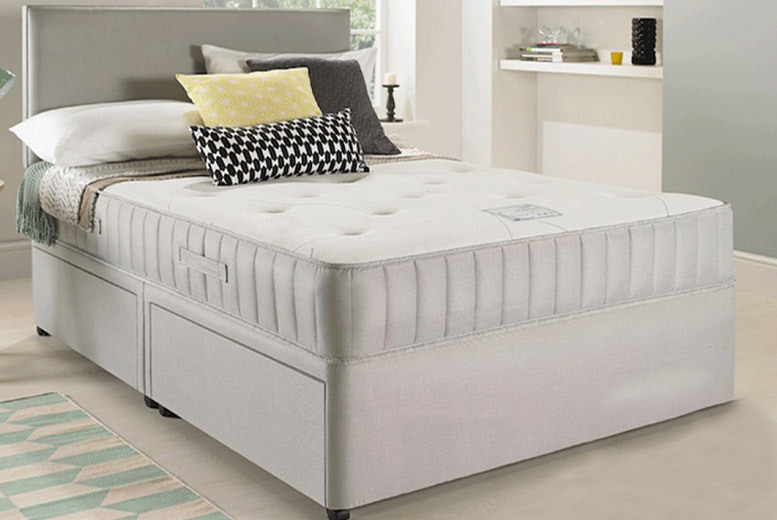 Get a great night’s sleep with this luxury divan bed frame! With a matching suede headboard! Includes a high density, open coil spring memory foam mattress included! Choose from five sizes (see below). Comes with the option of up to four drawers for storage! The perfect addition to your bedroom furniture!